One or more photo(s) has been virtually staged. Looking for a LARGE move-in condition 4/3 Mediterranean Entertainer's Delight PLUS fully equipped HOME THEATER. This one has over 3800 sq ft. and has space for everyone in your family. Large fully fenced 1/3 acre lot, gorgeous pool, screened LANAI and huge backyard. CUSTOM COMMERCIAL GRADE KITCHEN with DACOR 6-burner gas cooktop and GE Monogram appliances. 42" wood cabinets. Oversized huge island w/ honed granite countertops. Large Butler's Pantry off dining room allows for ease of entertaining, 2nd dishwasher, wine refrigerator and second sink as well. Stunning Travertine floors in kitchen and butler's area. 2 bdrms downstairs - Large master bedroom and guest bedroom DOWNSTAIRS, perfect for grandparents . Home theater on 1st floor with great theater seating, screen and surround sound. 2 oversized bedrooms upstairs with beamed ceilings shared Jetted tub bathroom. This home went through a massive renovation in 2007 to incl full renovation of the original part of home plus a new 2000+ sq ft, two story extension incl new facade, 2 car garage and front porch. Home is hard wired for video cameras. 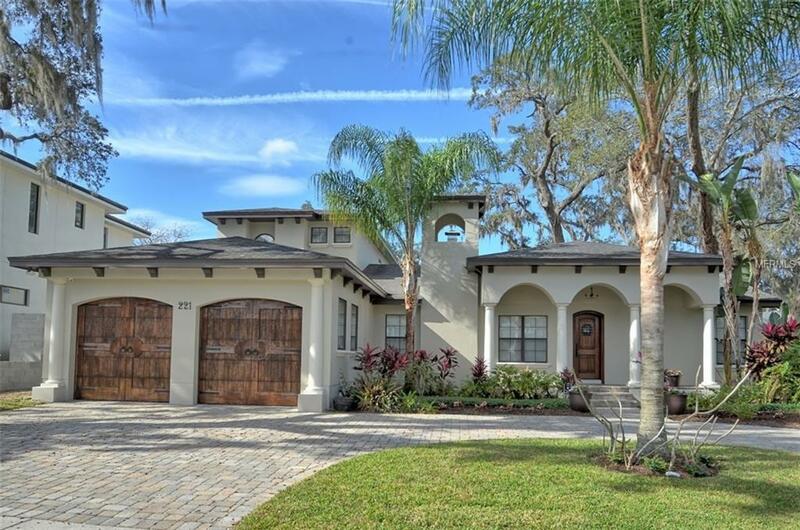 STUNNING STREET W/ MANY NEW MILLION DOLLAR+ CUSTOM HOMES, many back on WP Chain of Lakes. WALK 3 blocks to Publix, new Maitland City Center, shopping, restaurants, plus more planned where Bank is located on Horatio & 17-92. NO HOA. WINTER PARK SCHOOLS make this an amazing opportunity all around. Home also offers New Exterior Paint, Updated Electrical and plumbing, and tankless water heater.